Asian AF (Asian As F***) is the hit Asian American variety show held at the Upright Citizens Brigade Theatre in both Los Angeles and New York. 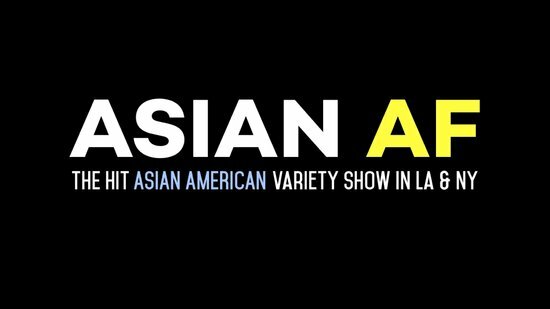 Asian AF spotlights the most talented Asian American comedians, actors, improvisers, musicians, dancers, and storytellers. A typical show features a stand-up comedian, a sketch portion, a musical element, sketch videos, and an improv team - with a new cast every month.Every show has sold out since its debut in November 2016, some selling out in only a few hours. Due to the immense popularity in Los Angeles, Asian AF was brought to New York in June 2017 and met with the same excitement. The show has been featured on news sites such as NBC News, ABC News, LA Times, Splitsider, ATTN, and many more. Previous guests include Margaret Cho, Aparna Nancherla, Eugene Cordero, Kulap Vilaysack, Sheng Wang, Joel Kim Booster, Keiko Agena, Suzy Nakamura, Manny Jacinto, Hudson Yang, and Ronny Chieng.